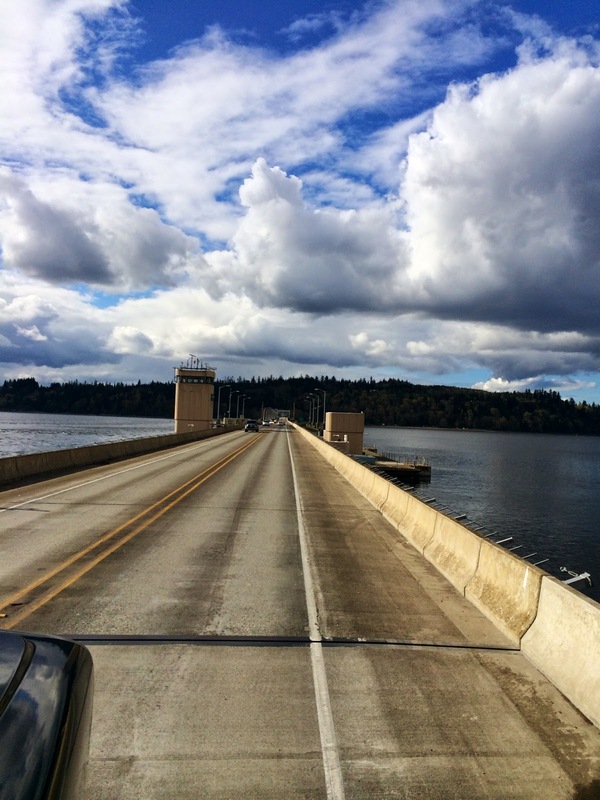 Crossing the Hood Canal on the Hood Canal Floating Bridge. The officially named William A. Bugge bridge is the only floating bridge in the world located in a saltwater tidal basin and is the third longest floating bridge in the world. It connects the Olympic and Kitsap Peninsulas.